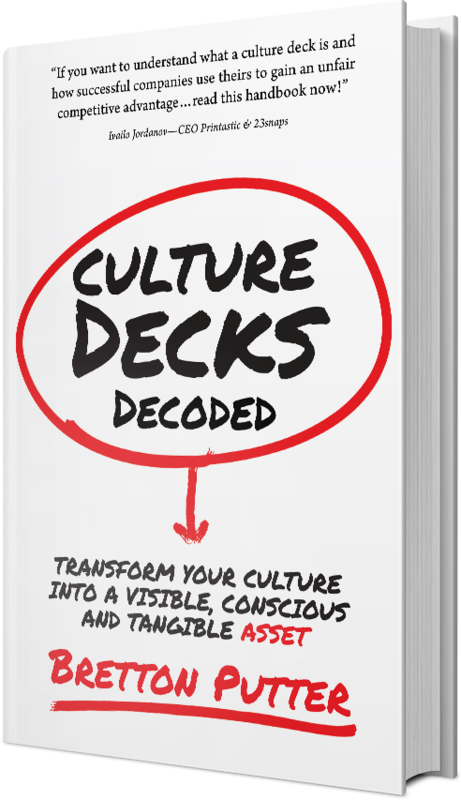 Unlock the “culture advantage” by tapping into your team’s discretionary mental capacity and time. Why MyTaxi’s strategy of working with the regulators may just pay off in the long run. Culture drives business performance, and I am not writing that just because I interviewed the CEO of a taxi app. There is an entire taxi fleet of research that confirms the link between culture and performance - improvements in sales, profits, engagement, hiring ability, retention, commitment, creativity etc. One of the reasons for the ROI experienced from investing effectively in your culture – your company’s unique combination of purpose, mission, vision, values and principles - is that it unlocks the “culture advantage”. The culture advantage is realised by tapping into your team’s discretionary mental capacity and time. This is the time that they could be surfing the net, shopping or watching TV at home, but will instead will dedicate to your company. A business that successfully invests time and resources into building and nurturing a company culture has employees that can clearly articulate how they make a positive impact in the business, how the business itself makes a positive impact and can describe why they want to give that extra 20% to the company. Does MyTaxi have a purpose beyond building a profitable business? Yes it does. At MyTaxi our purpose is to help fundamentally improve our cities. We don’t just remove the expensive and inefficient middleman by connecting drivers and the customer directly, we also help to transform mobility inside cities and make them a better more sustainable place to live. 80% of the world’s GDP is being generated by people living in cities and by 2025 75% of the world’s population will be living in cities. The only way forward is to make cities more sustainable and the way we do that is by offering an efficient transport service thereby cutting down on waiting times, traffic jams and pollution. Niclaus Mewes started MyTaxi in Hamburg in 2009 and the business actually launched 3 months before Uber did in the US. Daimler mobility services acquired the business in 2014 and we are now developing a meta platform to include the different brands such as Mytaxi, Car2go, Hailo and other mobility solutions that we are building using Machine Learning and AI technologies. I am a member of the founding team for Spain and Portugal and Nic asked me to open the Southern European market, starting with Madrid, in 2012. How involved is the HQ in the running of the Spanish and Portuguese businesses? ACAMyTaxi is a decentralised organization, so we have guidelines from the HQ in Hamburg but a lot of independence to run the business as the local market requires. MyTaxi has been a great success in Spain and we are aiming to achieve similar success in Portugal, which we launched in 2015. When we launched in Spain it was seen as more of an experiment and we weren’t given any real budget so we had to be incredibly creative and resourceful with everything we did. What was your hiring approach when you recruited the team in Madrid? When we built the team in Spain we weren’t able to hire “rock stars” as we literally had no budget. Instead I looked for people who had potential, who I could give a chance to, and if they were successful they could become the rock stars of the future. Four years later and Madrid is now the biggest and most successful market for the company and my team are now the rock stars, as a matter of fact they keep receiving job offers from as far away as Silicon Valley. In a startup you need passionate people who can allocate all of their discretionary time to the company. When it came to recruiting it was all about the candidate’s attitude. I chose people with the right attitude, who were open to learning, working hard and taking on a big challenge. Because I had no budget I had to hire people who were relatively inexperienced and hungry, at the time the age range of people I employed was between 20 and 22 years old. One of the things that I looked for was people who were already living on their own and no longer living with their parents. In Southern Europe children can live with their parents well into their 30s and I was looking for people who were independent and had already been working for a couple of years. I was also looking for a sense of urgency, the desire to change things and not worry about what the working hours were. In a startup you need passionate people who can allocate all of their discretionary time to the company. These values and attributes were, and to a large degree still are, important to me when we make a new hire. What were the key elements for success in Spain? 5. Escalate service – listen to customers, both the drivers and the customer end users because they are building the business experience for you. The customer is looking for a friendly and reliable driver, a ride that arrives on time in a clean and well-maintained vehicle (it’s the client’s first impression of the service after the app experience), a fair route that takes account of what’s happening in the city at a reasonable price. And that’s what we aim to deliver every day on every rise in every city we operate in. So being local and reliable is key? Yes. It sounds easy to do but its not, because the digital customer is very demanding. Our service is a commodity that people rely on, so if the estimated time of arrival is in 2 minutes and the vehicle arrives in 3 or 4 minutes the client complains that its not reliable enough. We understand this and have invested in technology to help us be more reliable. We work on a simple win-win commercial model for drivers. We charge ‎€1 commission if they accept and complete a job. In comparison, the typical dispatch centre will charge a driver €100 per month, whether they work that month or not. From our perspective we told the drivers that if we don’t provide the jobs we won’t charge them to be on the platform. This fair model has worked really well for us. The MyTaxi Academy was another experiment we tried that’s worked out well.The academy is not just about transferring knowledge and values but building an educated, loyal and committed community of drivers. We offer different educational and training courses, language courses, protocol courses and technology workshops to the drivers. Drivers are able to build a profile on the system and be recognized as the best and brightest operators in the fleet. 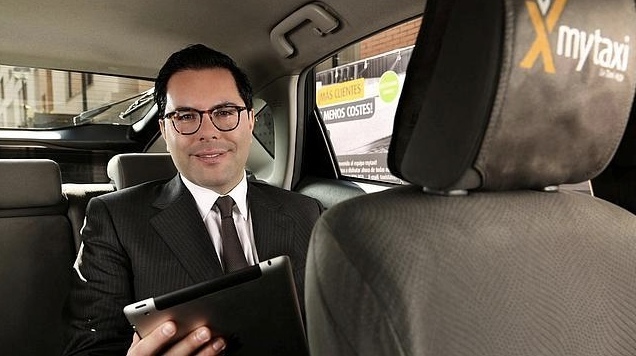 We have 5000 active drivers in Madrid and this is one way of rewarding the best drivers. So, the drivers that achieve high customer satisfaction scores, are hard working and happy to work the difficult slots like nights and weekends, are rewarded with the opportunity to upgrade their skills. How do you ensure your drivers offer an excellent service to the end customer? We set very high standards. Apart from our consumer business we also have a B2B business with 1000 mid size and enterprise customers who make use of the MyTaxi B2B service. Business customers set a very high standard and are very demanding; expecting clean cabs, knowledgeable drivers and good manners. We keep strong contact with the drivers and have a customer services team for any incidences that occur. We also have a driver team, fleet director and a sophisticated CRM system so we can keep in touch with and update the drivers with newsletters and push notifications. We are able to tell drivers to be located in a certain area, where we expect the demand to increase. The number of drivers that leave us is very low. We monitor driver and customer feedback rigorously and if a driver doesn’t follow the standards and demonstrate the required values they get one warning, more training and then asked to leave if they fail again. We loose about 5% who leave the fleet and another 5% who don’t match up to the standards we set, are asked to leave the fleet. What has MyTaxi achieved in Spain? In 4 years we have become a recognized brand in Spain. Our branding and influence in the media has been significant for a four-year-old company. Madrid is the leading city across all our countries with more bookings than Hamburg, Berlin, Rome and the rest of the network. We have done this with a lean team that for the most part was 7 people and more recently has grown to just twelve. Daimler just acquired Hailo so the team is going to grow to 25 or 30 as we integrate their team. Our goal is to be the dominant player across Europe and we are on our way to achieving that.